It was in 1869 after Spain joined the Latin Monetary Union that the peseta (ESP) was first introduced into the country. The Spanish Law set a condition that in order to join this union the peseta had to be a subdivision of the peso, 1 peso duro was equal to 5 pesetas. The Banco de Espana first started issuing banknotes in 1874. The denominations were 25, 50, 100, 500 and 1000 pesetas. In 1936 the first series banknotes were issued in denominations of 5, 10, 25, 50, 100, 500 and 1000 pesetas. 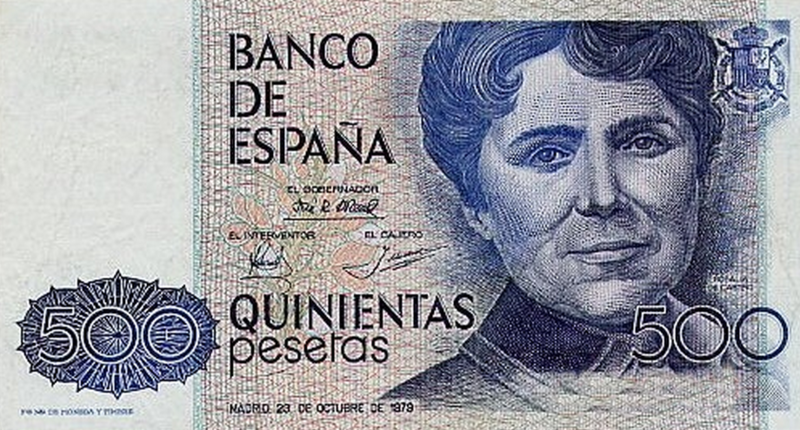 The following year the bank minted and circulated 1 and 2 peseta notes. 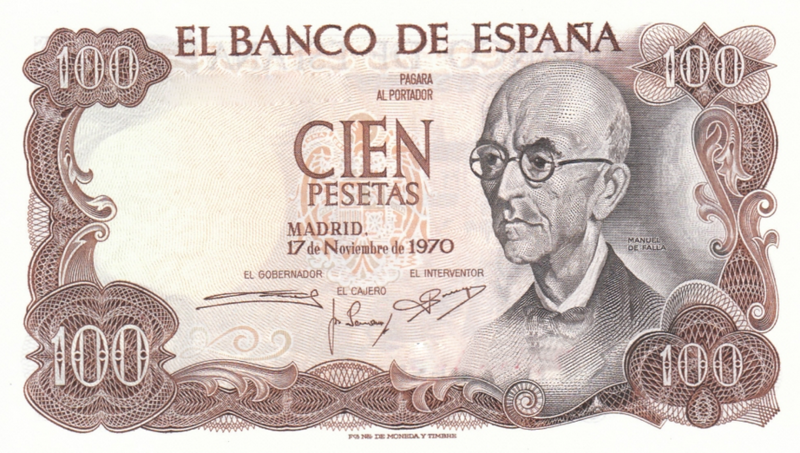 Prior to the euro becoming the official currency of Spain various denominations of the pesetas were introduced with some denominations becoming obsolete as they were replaced with coins in the 1950s. 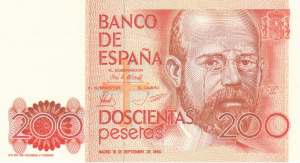 New notes that were introduced included 200 pesetas, 10000 pesetas and 2000 pesetas. All series banknotes remained legal tender until the introduction of the euro. Exchange Spanish Peseta banknotes with Cash4Coins today! Why exchange Spanish Peseta banknotes with us? Everyone has been to Spain at some point in their lifetime. One thing you always bring back are the Spanish pesetas as you have in the back of your mind you will be visiting Spain again. Since Spain adopted the euro the peseta is no longer legal tender in the country. All of you with a bunch of peseta banknotes sitting at home can no longer spend them. We have a solution for you. We will buy back your Spanish pesetas from you. Regardless of the age, condition or series of banknotes we will exchange them into usable cash. Our simple online method is 100% secure and we guarantee exchange rates along with faster payments. Why not try us today. If you are not happy with our quote we will return your leftover foreign currency back to you at our own expense.